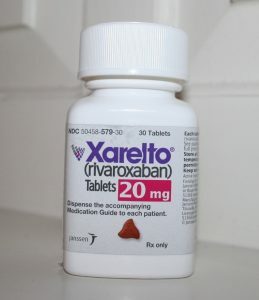 At trial, the treating doctor for Ms. Hartman testified that she would not have changed her decision to prescribe Xarelto if the warning label had reflected the information on increased bleeding rates. This turned out to be massively important testimony. In fact, the testimony cost Hartman almost $28 million. Because the doctor testified that her decision to prescribe Xarelto would not have changed with a different, more precise warning label, then the plaintiff could not establish that defendants had failed to adequately warn doctors and patients about the dangers of Xarelto. The testimony proved fatal to Ms. Hartman’s case. Here’s the odd part: Judge Erdos upheld the jury’s $26 million punitive damages award. He held that the evidence supported the jury’s finding that defendants acted recklessly by failing to issue an accurate and complete warning label. This ruling was very favorable to the plaintiff, and to all the remaining plaintiffs in the Xarelto litigation (both in Philadelphia state court and in the multidistrict litigation in Louisiana federal court). The problem is this: with no award for compensatory damages based on a finding of liability, the plaintiff cannot recover punitive damages. In most states, at least some award of compensatory damages–even one dollar–must exist before the court will permit payment of punitive damages. Because the plaintiff did not establish her inadequate warning claim, she was not allowed to recover compensatory damages and therefore she was not entitled to any part of the punitive damages award. It is a brutal result for Ms. Hartman. She essentially proved a right to punitive damages against Bayer and Janssen and Johnson & Johnson, but she cannot receive it. Still, for the remaining Xarelto plaintiffs, the judge’s decision on punitive damages provides some reason for optimism. In this case, the plaintiff’s team proved that defendants’ actions with respect to their warning label was reckless and potentially dangerous to consumers. More Xarelto’s trials will follow in 2018. This litigation is far from over.